Back in the day, cleansing my face was just about removing my makeup, nothing more and nothing less and my cleansing routine was pretty basic. Things have evolved so much since then and now there are an array of cleansers which not only remove makeup, but offer a whole host of other skincare benefits too. 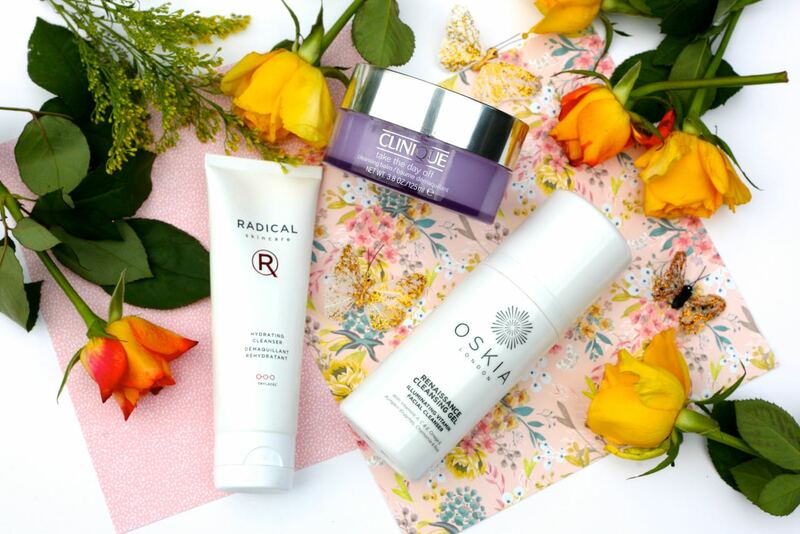 There has definitely been a lot of talk on the blogosphere about what I like to call the “hybrid” cleansers (totally making up own terminology here), which consist of cleansing gels, balms, oils and the like. After a little resistance to changing up my routine, I too am now a convert and yes, I can see what all the hype is about. I’ve got 3 cleansers to talk you through which I alternate between on a regular basis and they all pretty much work in the same way. They can be used morning and night (I tend to use them at night), you apply them straight on to your face, massage in for a minute or so to dissolve all of your makeup and then remove with either water or a damp muslin cloth. I prefer to use water and although these can remove even waterproof mascara, I use a separate eye makeup remover to do this. So, first up is the Radical Hydrating Cleanser, which is the priciest at £30. This is a 3-in-1 cleanser which cleanses, hydrates and tones as well as promoting cell renewal. This has a creamy consistency and its key ingredients include almond milk which removes excess oils, mango and papaya which brighten the skin and remove dead skin cells and tangerine oil which is also described as the “happy oil” as it acts a mood enhancer alongside a toner and natural astringent. My skin feels squeaky clean after using this as well as super hydrated so that’s enough to put me in a good mood! 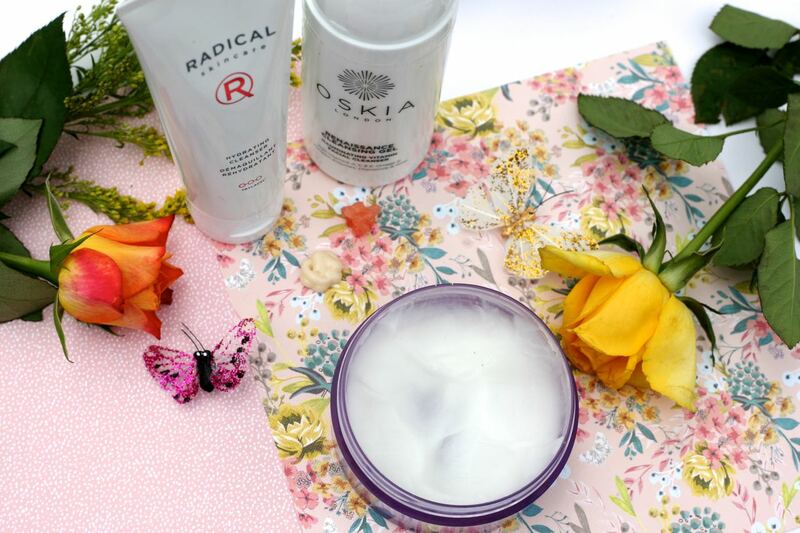 The Oskia Renaissance Cleansing Gel at £28 is definitely a popular one and with good reason. This coral coloured gel, which has a rosewater-like scent makes your skin feel so unbelievably soft after use that I love to use it as a pick me up whenever my skin is feeling dry. This has a blend of vitamins and fruit enzymes including pumpkin enzyme, which deeply cleanses your pores and acts as a natural exfoliant. This turns to a milky consistency once you add water and it gives a lasting glow to the skin. Lastly the Clinique Take the Day off Cleansing Balm is a slightly affordable option of the 3 at £22 but by no means any less effective. In fact, I probably like this one the most. It’s a no fuss, non-scented, lightweight balm that turns into a silky fluid oil once you rub it on to the face. It doesn’t really contain any fancy ingredients but afterwards my skin is hydrated, clean and soft and it just restores my skin to normality when I’m going through a bad skin phase. If you haven’t used these types of cleansers before they are worth considering if you are looking into changing up your routine, or just after something different and better. They really do remove all traces of makeup and if you’re not sure, then a double cleanse wouldn’t hurt, in fact, I’d always recommend a double cleanse at night whatever you use.